One of the largest public-private partnerships in Idaho is moving forward after government and business leaders broke ground on the Northgate Project in east Idaho on Sept. 14. 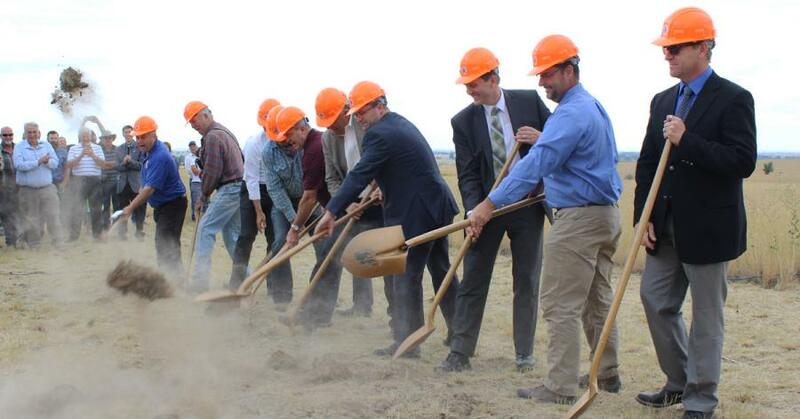 “This project presents a fantastic opportunity for not only Pocatello and Chubbuck, but also all of East Idaho to grow and thrive into the future,” said Pocatello Mayor Brian Blad. The partnership consists of the cities of Chubbuck and Pocatello, Bannock County, the Pocatello Development Authority, the Idaho Transportation Department and Millennial Development. In June, those partners signed an agreement to build a new interchange on I-15 and new local roads to connect to the interstate. The new infrastructure would open the north end of Pocatello and east Chubbuck to new development by way of a master-planned community called Northgate. Once fully built, the project is expected to bring new a 1-million sq. ft. IT park, retail businesses and 10,000 new homes. Crews will begin some site work this fall, with the majority of the construction expected to begin in spring 2018.